non-profit support – Page 2 – the ajayi effect. The holiday season here in NY and that means pop-up shops have run amok. Don’t get me wrong, I love a sugary smelling candle and hand-knitted scarf at discounted prices just as much as the next woman. But is it possible to tie this example of mass consumerism to a cause in an innovative way? A few weeks ago, New Yorker Eric Ho, an architect who once intended to design housing for disaster zones, counted the empty properties on the Lower East Side and considered what could be done with them. A preliminary answer: a series of seven pop-ups in seven weeks in a storefront on Delancey Street. The seven-week project is also a showcase for his prototype “storefront transformer”: a six-foot wooden cube on wheels that contains the components for tables, seats, a screen, display cases, a stage, lighting, Wi-Fi and a P.A. system — an instant pop-up in a rolling box. I love this idea! Here;s the thing: It needs to be funded. Ho is living on his savings. Money to rent the storefront and build the transformer — $33,991 in total — was raised through Kickstarter, with the biggest contributors paying $1,000 or $1,500 in exchange for small promotional displays. I think this idea deserved my support and yours too. The rich keep getting richer. While they are at it, they seem to keep giving, even though it may not be as much. At least that’s what, A Decade of Million-Dollar Gifts, a new report from the folks at the IUPUI Lilly Family School of Philanthropy, shows. Among other things, the report found that the number of million-dollar gifts peaked at 2,355 in 2008 and reached its lowest level — 1,092 — in 2003; that the combined value of million-dollar gifts peaked at nearly $61 billion in 2006 (thanks in large part to Warren Buffett’s gift of approximately $33 billion to the Bill and Melinda Gates Foundation); and that, following a three-year decline, the combined dollar value of such gifts reached its lowest point of the decade, roughly $10 billion, in 2010. Find the full report and more here. It’s a shame. People barely read these days. It’s all about good pictures. I guess that’s not so bad as photographs leave lots of room for individual interpretation. It’s for this very reason that Instagram is on the rise. With 100 million monthly active users and over 40 million photos uploaded per day, the photo-sharing site claims to gain a new follower every second. The most successful Instagram accounts offer a glimpse into user’s private lives and behind-the-scenes experiences not revealed on other social networking sites. They key is authenticity and transparency – if your organization is not comfortable with this yet, then Instagram may not be for you (right now). Since photos get above-and-beyond the most interaction and engagement of all content posted to Facebook and Twitter, it makes sense to post your best Instagram images on both of these accounts. 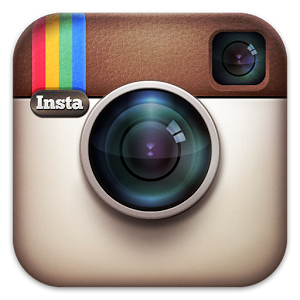 If you are using Instagram from a personal account, you can link your organization’s Facebook Page easily. As with all social media sites, first conduct research on best practices, sketching out a plan and then jump in. See what local businesses, nonprofits, community organizations and leaders in your area are posting to Instagram. Follow your supporters, donors and volunteers to see what moves them and what they like to post. Unusual angles, different lighting and a unique perspective are all characteristics of viral Instagram shots. Shots of nature, beautiful scenery, close ups on faces all translate into likes and comments. There is a reason that your organization exists. You are changing lives, saving the environment, finding homes for animals, preserving historical buildings, saving children. Whatever your mission, make sure that some of your Instagram photos show this impact – whether it be a smiling face, a cleaned up beach or an empty food pantry after the holidays. Your supporters, constituents and community members are online. What about that younger demographic you desperately want to reach? Guess what. They are ALL using Facebook, Twitter, Instagram and the rest. They are taking photos. They are sharing their experiences, thoughts, dreams and hopes online. Why not use them as a source of content for your social media accounts? Showcase the local bank stocking the food bank, the mom’s club hosting a fundraising event and the people monitoring the hotline, stuffing envelopes and doing office work. 10. Use hashtags strategically and wisely. Do not jump on the most popular hashtag and use it repeatedly – that’s spam. Use hashtags that make sense to your followers and your supporters. Using hashtags is very important for continually adding new followers, as it exposes you to a wider circle of Instagram users who are searching on that hashtag. Do your research, see what others are using and add them sparingly. 11. Get comfortable with posting photos first, then develop a strategy for videos. Instagram videos have become a hugely popular addition to the site, but most are blurry, unclear and indecipherable. When using video for your nonprofit, there needs to be more preparation and planning than just sneaking a snapshot. 13. Link to your mobile site (or make sure your website is mobile accessible). Instagram is a mobile app and thus all links should go to mobile accessible pages and websites, as well as mobile donation pages and email sign up forms. This should go without saying. Post a photo of the Board President at their high school prom for #ThrowbackThursday. Post photos of staff members celebrating a birthday. Keep it light and go off topic once in a while. Enjoy yourself! According to a study recently released by Blackbaud, charities that are looking to get the most out of donation efforts should focus on Baby Boomers. The findings compare the giving habits of Boomers (aged 49 to 67) with “Matures” (who are 68 or older), Gen X (33 to 48) and Gen Y (18 to 32). It found that not only are Boomers the largest group numerically, with 51 million individuals comprising 34% of the donor base, they are also the largest contributors, giving an estimated total of $61.9 billion per year (43% of all the dollars donated). Matures accounted for 26% of the donations; Gen X, 20%; and Gen Y 11%. The study involved an online survey in May of 1,014 U.S. donors 18 or older who had made a monetary donation to at least one non-profit organization or charitable cause within the last 12 months (excluding a trade union, children’s school, alma mater, or place of worship). Social service charities, houses of worship and health organizations are supported by the largest percentage of donors across all generations, but for other causes there were differences between the generations. The study also revealed that multichannel engagement is the new normal, but that the ideal mix varies from generation to generation. The majority of donors don’t mind being approached by friends (or friends’ kids) to support a charity. Boomers increasingly give online (as opposed to by mail) — something that hasn’t caught on with the generation older than them. Younger donors are less responsive to telephone solicitation, and more likely to give through the workplace (in contrast to Boomers who are being forced out of corporate jobs). They also like cause-related marketing. 2013 mGive Report Calls Up Social Connection. The 2013 annual mGive Text Donation Study was recently released and yet again demonstrates that text donations remain an overwhelmingly positive experience for donors. Supporters are increasingly finding out about text donation campaigns through social media. In addition, donors want to get more information about you through text messaging. 1. Use mobile communication for info-sharing, not just solicitation. Text donations are popular and increasingly important not just for donations, but for multiple types of information sharing. The increase in desire to receive information about volunteering, surveys and program information presents an opportunity for nonprofits to increase donor engagement through mobile communication. Survey says: Say it By Text! 2. Text donations will not undermine traditional giving. The survey also found that an overwhelming 85 percent are inclined to continue donating at larger amounts to a nonprofit via traditional methods after donating by text, clearing up a misconception that text donations can undermine other methods of giving. Donors also strongly favored, by 65 percent, the option to donate $25 via text. Currently, text donors are limited to gifts of $5 and $10. Volunteering is key to those who are out of work. With unemployment still high, findings from the 2013 Deloitte Volunteer IMPACT Survey are particularly pertinent to the population that was surveyed. This includes recent college graduates who are unemployed, underemployed and may be carrying college-related debt, as well as unemployed post 9/11 veterans, based on the Bureau of Labor Statistics, amongst those in the 20-24 age range. 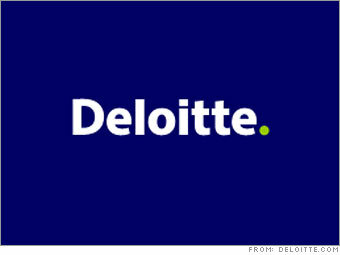 According to a new survey from Deloitte, human resources (HR) executives agree that skills-based volunteering enhances the job prospects for graduating college seniors and returning military veterans. Yet, despite challenging economic times, less than half of the college students (46 percent) and military personnel (48 percent) surveyed think of volunteering at a nonprofit as a way to develop skills and gain the experience needed to land a future job. The survey also confirmed that volunteerism—both traditional and skilled—is encouraged at many organizations through corporate citizenship programs. Responses indicate that most HR executives believe volunteering is beneficial for their employees (65 percent), and contributes toward a positive reputation (88 percent). From an internal standpoint, slightly more than half of the HR executives surveyed (52 percent) say volunteerism is an important element of their organization’s culture. Download the complete survey here.